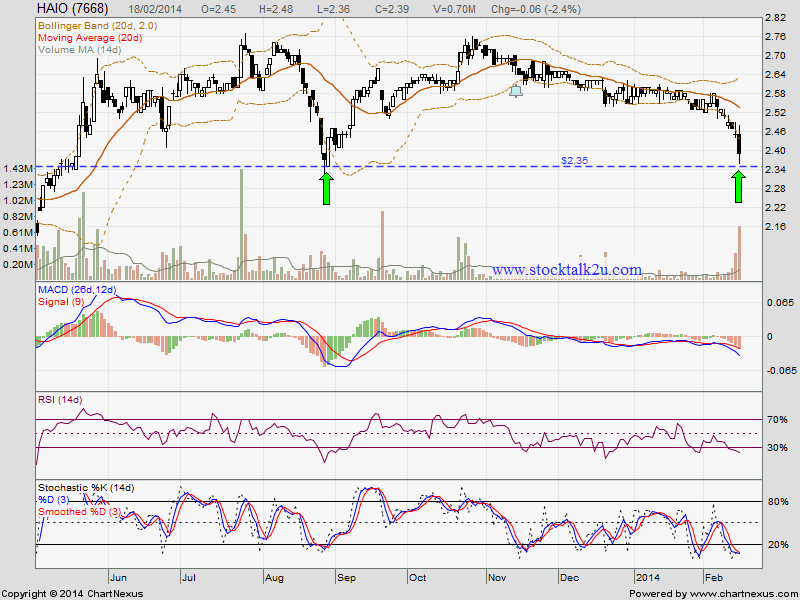 HAIO retrace down to RM2.35 support level? Stochastic %K oversold stage, pending buy call. Immediate resistance @ RM2.46 level. Subsequent support @ RM2.30 level.